Shaved all my hair of today. Jikes! | Amsterdam, baby! Shaved all my hair of today. Jikes! I just shaved all my hair of! OMG! Not that I had that much anyways, but now i feel totally naked! haha. Oh well, nothing much to do with that. Cause now I am meeting Sam and we are gonna go and study and have coffee at the cafe just around the corner. We have to deliver our assignment tomorrow, so wish me luck! 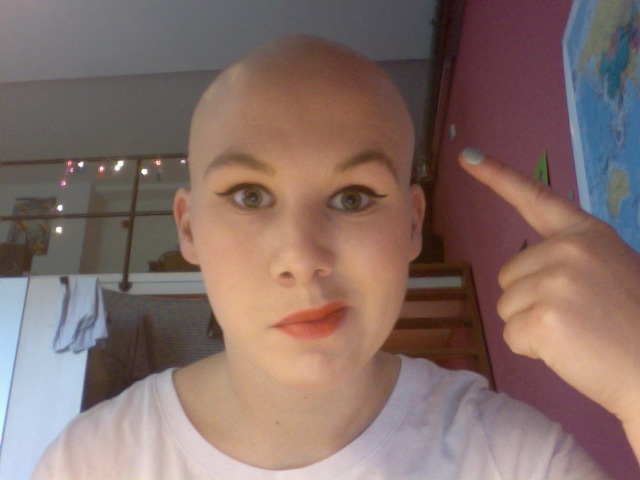 This entry was posted in Uncategorized and tagged Amsterdam, coffe, goodtimes, shaved of my hair by maypaj. Bookmark the permalink.